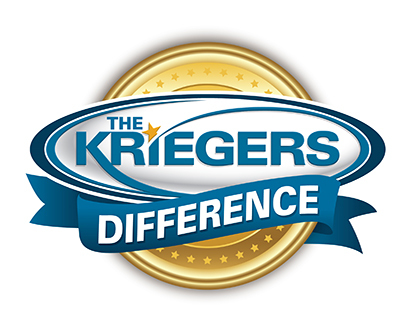 What is the Kriegers Difference? Check out Kriegers huge selection of new vehicles. We have enough used vehicles for everybody. Get started with the financing process now. Scheduling service online is simple, try it. Bad things happen to good people, let us help. Kriegers detailing department wants to make your car happy. 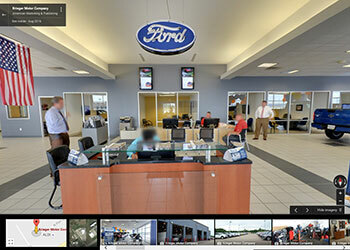 Order what you need through our parts department. Kriegers sells tires to get your vehicle rolling. I just went in for an oil change and tire rotation. I'm always treated with respect and they had my vehicle done in a timely manor. Thanks, Dave! Tony does a superior job every time I have the car at the dealership - he certainly is a keeper! I was visiting my parents in DeWitt for the weekend when I found I had no heat in my Grand Prix. Marv Flamming was my angel that day! He found I needed a new blower motor and loaned me a car with heat for the day! It was a routine oil change and completed ahead of time. Kudos! Be advised, Steve always exercises the utmost in customer service. He is the model for how others should perform regarding focus on the customer. 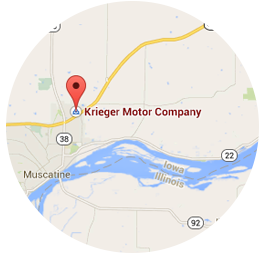 We purchased a 2014 Sierra Pickup truck from Krieger Motors of Muscatine. 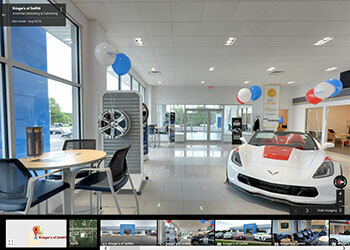 This is not our first buy from them, we have been buying cars and trucks from them for many years. 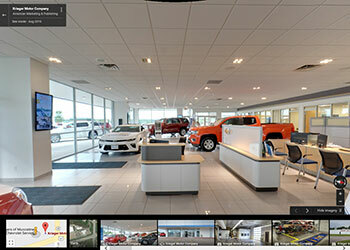 It is a 50 mile plus drive just one way from our home to the dealer ship. That a lone should say a lot of things about our relationship with them. We have always left feeling good and knowing that some one there will have our back! Excellent, friendly "small town" service. I have been a Krieger customer for many years & have used Barney when purchasing (or for any other vehicle questions I might have.) When we recently decided to trade in our GMC Acadia for a newer GMC Terrain, we received excellent information from Barney regarding how we intended to use the car.